We welcome you to the parish community of Waltham Abbey. We hope that you enjoy your visit to our website. Do share with us your views, hopes and concerns. You will discover a vibrant parish that tries to respond to the needs of others and to be of service to the local community. We are by no means perfect, but we do try to live and proclaim the Gospel message of Jesus Christ who is the Way, the Truth and the Life. The parish of Waltham Abbey is part of the benefice of Waltham Holy Cross (which is itself part of the Deanery of Epping Forest and Ongar Deanery of the Diocese of Chelmsford). There are four Church of England churches within the benefice. 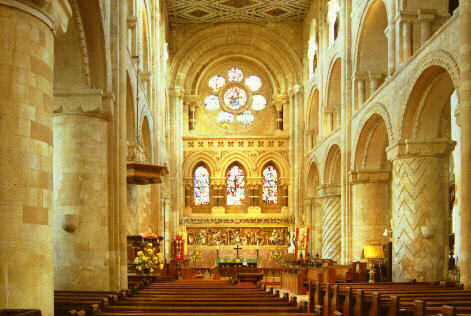 The Abbey Church, which is the church of Holy Cross and St. Lawrence and is the parish church of Waltham Abbey. 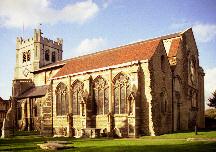 St. Lawrence Church, Ninefields, which is a district church within the parish of Waltham Abbey. St. Thomas Church, the parish church of Upshire. Holy Innocents Church, the parish church of High Beach. We are committed to Safeguarding Children, Young People and Vulnerable Adults. Our Safeguarding Officer can be contacted via the Parish Office.